The start for the GATIS Outreach Project together with our private sector partner Milde Marketing (Science Communication Agency) is scheduled for 8-9 November 2014. 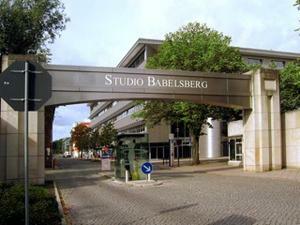 Venue is the famous Filmstudio Babelsberg in Potsdam, just outside Berlin, Germany. The goal of the GATIS outreach project is to develop outreach material that can be used e.g. on the webpages, for public lectures, exhibitions, posters, or the GATIS film project. In a first phase the project will focus on developing both text modules and visuals, such as images or short clips that illustrate various aspects of our science. The projects will be kicked off during a 2-day workshop (November 8/9, 2014). Goal is to select key areas on the GATIS webpage for which new texts and visuals should be developed. During this workshop, the fellows will work on a few smaller texts under the guidance of science communication professionals. In addition, the design of some key visuals will be developed in a creative workshop. For interested participants it will also be possible to learn how to realize visuals with software from the Adobe Creative Suite. Registration to the GATIS Outreach Project is possible via this link.